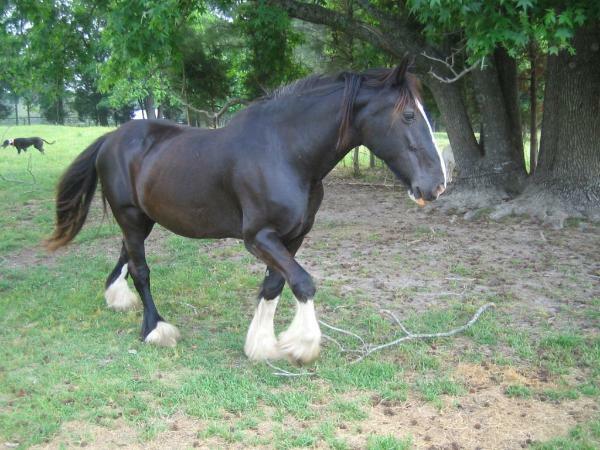 For more about draft horses, see the bottom of the page. many others, including the American Cream Draft. hand = 4 inches) are taller at the withers (base of mane). drafts are usually a form of Belgian called a "Brabant." 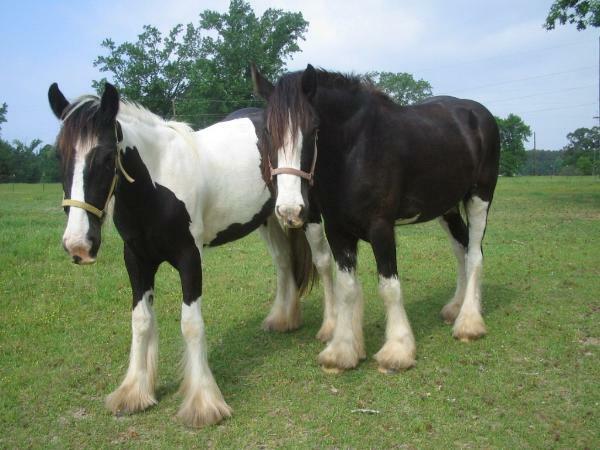 These horses may weigh 3,000 lbs. 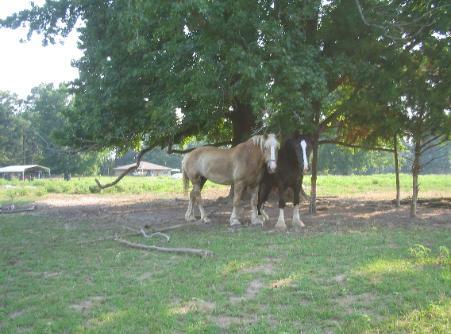 Left: Miss Jessy & Eve enjoy the shade on a hot afternoon. horse at lovely Gallagher Gardens in Texarkana. short illness. She will always be remembered. Great Dane is in the background.